Twenty-six years on, what's changed? 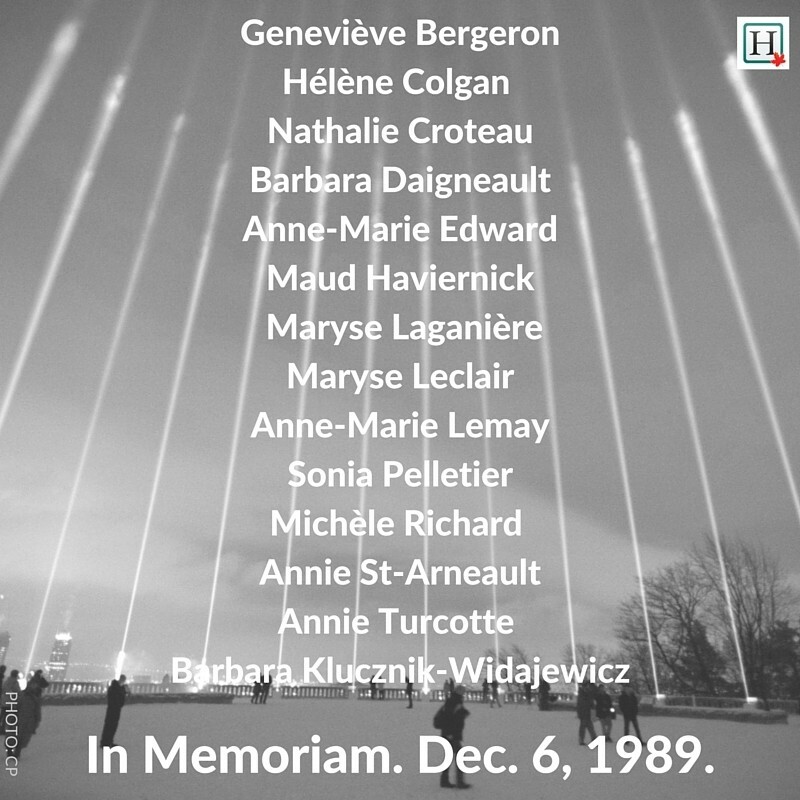 Twenty-six years ago, the Montreal Massacre marked not only the worst case of mass gun violence Canada has seen to date, but also one of the most severe cases of violence against women. On Dec. 6, 1989, a gunman entered the École Polytechnique. After separating the men from the women and declaring, "I hate feminists," he went on a shooting rampage. Fourteen women were killed, and 14 others were injured. Canadians now remember this horrific tragedy annually and observe the National Day of Remembrance and Action on Violence Against Women, which began in 1991. 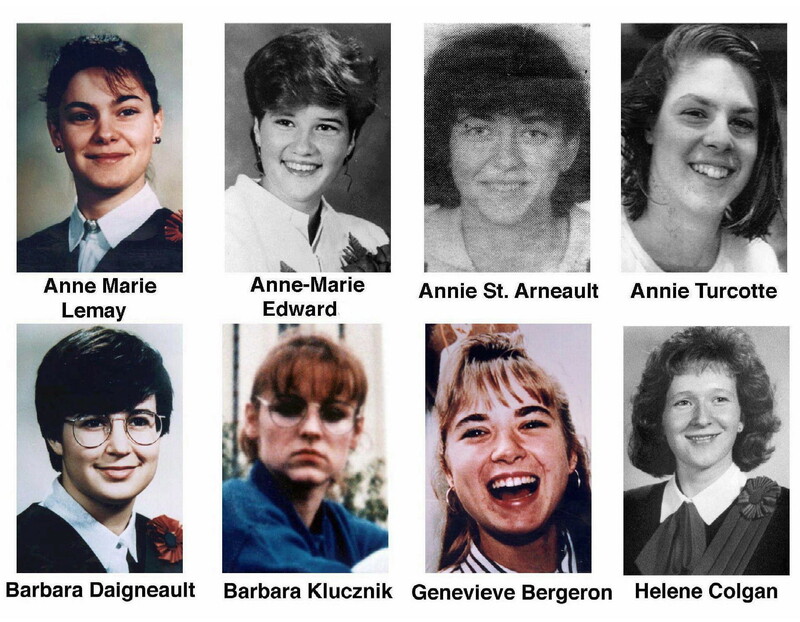 Eight of the 14 women slain at Ecole Polytechnique are pictured, from top left: Anne Marie Lemay, Anne-Marie Edward, Annie St-Arneault, Annie Turcotte, Barbara Daigneault, Barbara Klucznik, Genevieve Bergeron and Helene Colgan. We've spent 24 years declaring a day of action on violence against women, but it remains a challenging journey. A Statistics Canada survey of victim services providers revealed that of the women who were assisted, eight in 10 were likely to be a victim of a violent crime, compared to seven of 10 male clients. Almost a third of women assisted were victims of sexual assault, and six in 10 female clients had been subject to a violence offence by a spouse, ex, intimate partner or family member, according to Stats Can. A draft report on violence against women by the Status of Women Canada stated that “Canada has no comprehensive national strategy to address violence against women.” The internal report was released by the CBC earlier this year following an access to information request. There has yet to be a moment where women have been able to declare they feel safe at last. But there have been small victories. In the speech from the throne Friday, Gov. Gen. David Johnston announced Canada will introduce legislation that will provide greater support for survivors of domestic violence and sexual assault. Many of Canada’s provincial bodies have also launched sexual violence awareness campaigns. Still, changes to legislation don’t always mean changing attitudes. The prevalence of social media has created “new threats and sources of violence,” such as cyberbullying, according to the same report from the Status of Women Canada. Social media has allowed harassment to have as wide a reach as the Internet, with trends like #Gamergate, which saw women in the video gaming world targeted with misogyny and threats. But it can also be a powerful tool to raise awareness. Online community forums have magnified awareness and sent stories viral across continents, with campaigns like #TheEmptyChair and #BringBackOurGirls. But these trends don’t always have staying power. It can’t be up to social media alone. A recent report published by the UN Broadband Commission advocates for "urgent action" to prevent online violence against women and girls, which it says has escalated such that almost three quarters of women online have been exposed to some form of cyber violence. The report's key recommendations for stemming online violence against women include sensitization of the community through training and development of social changes and behaviour, safeguards that create oversight through online infrastructure and technical solutions, and sanctions to deter perpetrators. In 1989, the Internet was not a world the women who died on Dec. 6 inhabited. But their legacy might be to help architect a safer world for women now — through the remembrance of the events of that day, and the knowledge that its violence remains sharply relevant for so many. With files from Lisa Yeung. Infographic and Thinklink design by Angelyn Francis. CORRECTION - Dec. 6, 2015: A previous version of this story stated incorrectly that eight in 10 women were likely to be a victim of a violent crime in Canada in 2012 per a Statistics Canada survey. This has been corrected to accurately reflect the survey's focus on victims who received assistance.